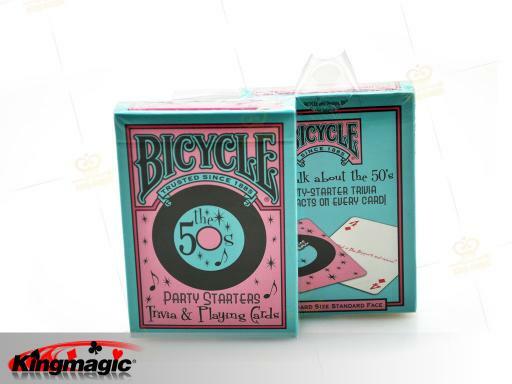 Here's a fun deck of Bicycle Playing Cards featuring a unique 1950's design with a trivia question from the 50's on every card face. You get 54 different questions and answers (52 normal and 2 jokers) about pop culture from the 50's. 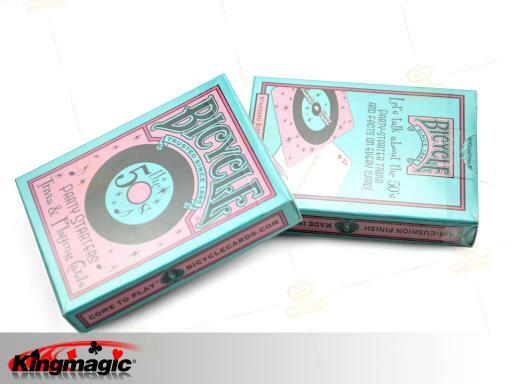 This is a standard deck of playing cards and can be used for most card games. Great party starter! The card back design features an old "45" record with the words, "Rock 'n Roll".